Only well developed and effective quality management systems and quality improvement strategies provide positive ROI on quality management. 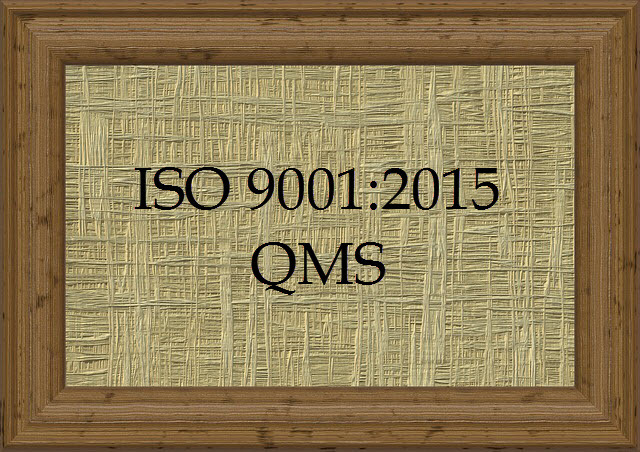 In order to generate valuable data around this equation, invest in creating an ISO 9001 2015 QMS (Quality Management System). ISO 9001, when done correctly, cuts internal cost. Plus it helps companies outperform competitive bigger brands! US publicly held ISO 9001 registered companies show significant improvement in financial performance compared to those companies not pursuing the standard. The firms that failed to seek registration experienced substantial deterioration in return on assets, productivity and sales. Registered companies avoided such declines. Having your company certified against ISO 9001 2015 can be one of the factors that differentiates your company from “low quality” competition. Plus it may help win new business based on your achieved quality credentials. But how easy or difficult is it to implement or transition your existing Quality Management System to the new ISO 9001 2015 QMS requirements and become a certified company? Here we help provide the best steps for implementing or transitioning your QMS to the new published international ISO 9001:2015 QMS. Good news, it is not as hard as you think to become a recognized certified brand on the 2015 standard. I am always dazzled by companies or organizations who have three black belts and ten green belts, but not a real effective Quality Management System (QMS) in place. In this case, the team continuously "stops the bleeding" only. They skip or forget to set the foundation for quality improvement FIRST! Only when an organization identifies its key processes and establishes adequate process control, can quality be linked to financial performance. The new standard requires an organization to define the desired output of its key processes and monitor actual performance against it. The output should be defined in measurable key performance terms (KPIs). Break these down by highly important Unique Market Differentiation KPIs and Product or Service Requirement KPI’s. Within the KPIs include financial terms and /or corrective action costs items. As the company compares actual QMS performance to defined QMS (KPIs) objectives, the organization learns where it needs quality improvement activities. Such improvement activities will involve root cause investigation and disciplined problem solving. Quality professionals should use improvement techniques to address deficiencies in meeting QMS requirements or QMS objectives first. This begins the practice of creating quality improvement excellence. 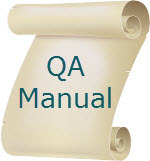 The new standard does not explicitly request having a quality manual in place. However to support the organization in incorporating all ISO 9001 2015 QMS requirements and run all beneficial new “features” of ISO 9011:2015, establishing a Quality Assurance Manual is highly recommended. Your Quality Assurance Manual provides a documented baseline. It incorporates ISO 9001 2015 QMS requirements as artifacts. It demonstrates how your organization’s QMS meets the new requirements of ISO 9001:2015. In includes references to all existing and new quality planning document and procedures in place. Include your QMS Quality Policy, which is a high level document that provides a framework for establishing, deploying and reviewing the company wide quality management strategy on a regular basis. Include some high level QMS Quality Objectives, which can be a high level statement of the company wide applied QMS objectives in stated format, and also the plan for their realization. The Quality Assurance Manual should detail all applied QMS Quality Plans & SOP’s your company uses to achieve the QMS objectives. Include the new artifacts for Context of the Organization and Interested Parties. Include your procedure or planning document that describes the process of determining your context of the organization. This document may be the identification of interested parties, their needs and expectations, as long as it is done thoroughly. Address your Quality Plan & SOP for the new “risk based thinking” requirement. This includes strategies for management of all risk & opportunities your company currently faces. For example, create a solid continuity plan addressing your supplier risk management. Also, create a local contingency plan to address all local risk sources. These documents demonstrate to ISO Third Party auditors, that you are serious in defining how your company identifies and manages mitigation of risks and opportunities affecting your quality management system. Reference your QMS Records Keeping Plan according to ISO 9001 2015 QMS requirements for records keeping. Provide a QMS Quality Improvement Plan, outlining all strategies of the company for planned quality improvement within your current QMS context. 1. Conduct a Gap Analysis Audit on your existing Quality Management System before you start to develop all new artifacts of your ISO 9001 2015 QMS. other supporting records and forms. Make sure, everybody in your company receives adequate QMS training on all new audit artifacts. Based on the first gap assessment, develop a first set of efficient and effective documentation to support the QMS in accordance with the ISO 9001 2015 QMS standard requirements. 2. Start to manage and address all the new ISO 9001:2015 requirements in QMS quarterly management review meetings. Be sure to include discussion of any changes in QMS risk & opportunities. Document the action plans from these meetings. StreamLiner is great for this. Put a Corrective Action / Root Cause Analysis / Nonconformity Reporting Register system in place such as 8D Manager. This tracks all company-wide occurring business interruptions and nonconformities for product, process and service management as a closed loop risk based preventive management problem solving tool. 3. Integrate any existing baseline documentation for any other standard your company must adhere to, like OHSA, Environmental Management, FDA, TS automotive, or etc into your Quality Assurance Manual. Here you will save cost in your Internal Audit cycle, as you will create only one Audit Plan for it.